The Poem Farm: Wallow in Wonder Day #5 - What is Fertilizer? Wallow in Wonder Day #5 - What is Fertilizer? 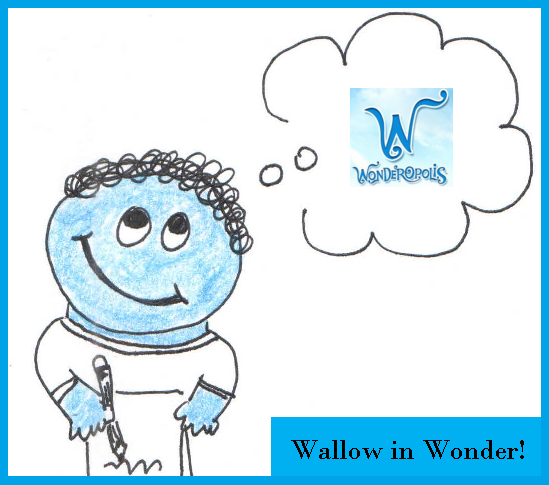 Welcome to Day 5 of Wallow in Wonder! For my 2016 National Poetry Month project, I will celebrate learning and writing from learning, writing poems from each daily Wonder at Wonderopolis. As I did with my Dictionary Hike in 2012, I am looking to surprise myself with new inspiration daily. This year, such inspiration will show up in my inbox each morning. I will print it and carry each Wonderopolis Wonder around all day...and in the afternoon or evening, I will write and post the poem for the next day. And now for Day 5! Students - Today's poem is an abecederian, a type of poem that I have only written once before - Gifts, back in 2010. If you don't already know what an abecederian is, take a good look at today's poem and see if you can figure out what is special about this form. I bet you can. If not, I will tell you. An abecederian is a poem that goes right through the alphabet, beginning each line with a successive letter, starting with the first and ending with the last. There are variations if you wish to study abecederians, but this is a simple explanation. It's a strange form to write, kind of fill-in-the-blank-y...which is not my usual favorite type of writing. But somehow, the exercise of needing to use the letters stretches my imagination to say things in different ways than I might otherwise. One resource I found helpful in writing this was an online resource - The Lerner's Dictionary. Any dictionary will do! When a poem takes a certain form, the writer must take extra care to ensure meaning. The form should not interfere or distract from meaning in any way. I first learned about compost piles from my wonderful sixth grade teacher, Mr. Joe Fron who grew a garden with my class. I still think of him often, and I am grateful to have had him as one of my life-changing teachers. We do not always know in the moment who will change our lives forever, but as we get older, we figure it out. So, when I read today's wonder, "What is fertilizer?" of course I thought of compost. If you are interested in learning more about composting, watch this video at National Geographic and too, check out How to Compost.org. 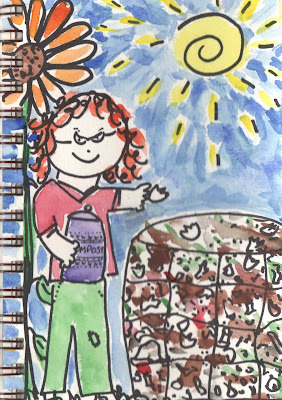 You can read another poem inspired by fertilizer if you visit Wonder Lead Ambassador, literacy advocate, teacher, and writer Paul Hankins at his Wonder Ground blog where he, too, is writing daily poems from Wonderopolis wonders. He and I are in this together daily and some other writers are joining in on the fun sometimes too. All are welcome to wonder through poems with us. I could not be happier to welcome middle school teacher and librarian Stefanie Cole and her students from Ontario, Canada to Sharing Our Notebooks this month. Do not miss this post; it is full of notebook inspiration, a video clip, and a cool giveaway from Stefanie! Happy Day 5 of National Poetry Month 2016! Wow, Amy, cooking compost with the alphabet is wonderful. Love that thank you from the worms! My daughter's compost pile keeps growing pumpkins, and they finally had to move them so they could get at the compost! Ever since I read about your idea of writing a poem inspired by the Wonder of the Day, I have tried to write a haiku based on the day's Wonder too. I am also doing this with my class of 4th graders. Let me tell you -- they love it! They especially loved this Wonder about fertilizer, because some of them got to work the word "poop" into their haiku (fewer syllables than 'manure.') My haiku that was inspired by fertilizer can be found on my Slice of Life today at http://sweetwritinglife.blogspot.com/2016/04/give-it-away-sol-40516.html. Thanks for the inspiration! I learned so much from reading your post today Amy! Thank you for sharing all of this wonderful information! I'm so thankful for your talents! Every April, I end up writing at least one abecedarian. It's not easy to have every single line actually be meaningful, but you have managed to do it here. I can't wait to share this with the garden club at our school. Kudos to you! I didn't even realize it was abecedarian until I got to X!! Amy, I am intrigued by the abecedarian poem form so I am trying one also. Margaret Simon and Kevin Hodgson have tried it as well. 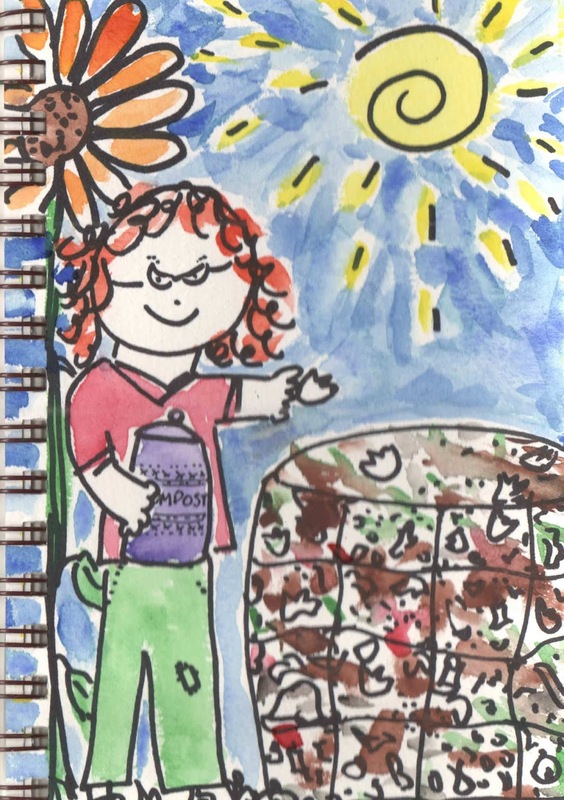 I think your poem on making compost pairs well with Wonderopolis' What is Fertilizer? The image is delightful too. I would like to capture your image and poem for Spring's Seeds Gallery if you want to offer it. See you tonight at #NYEDChat.